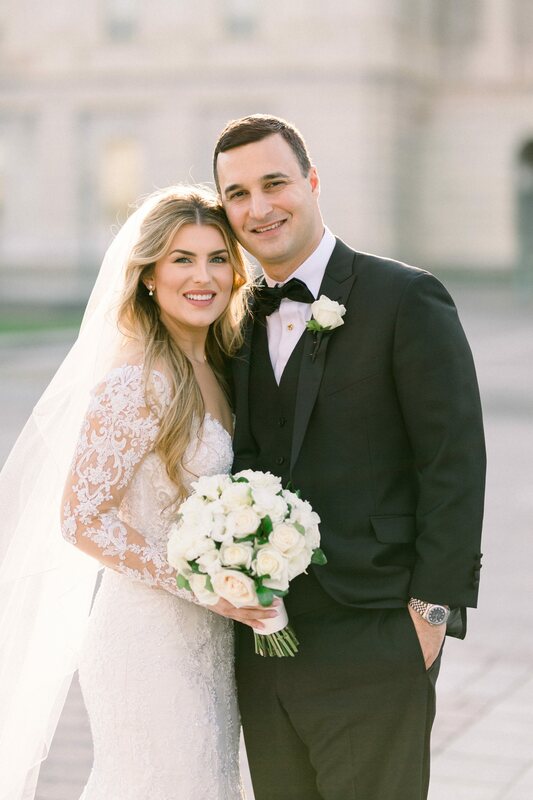 Aren’t they such a photogenic couple? 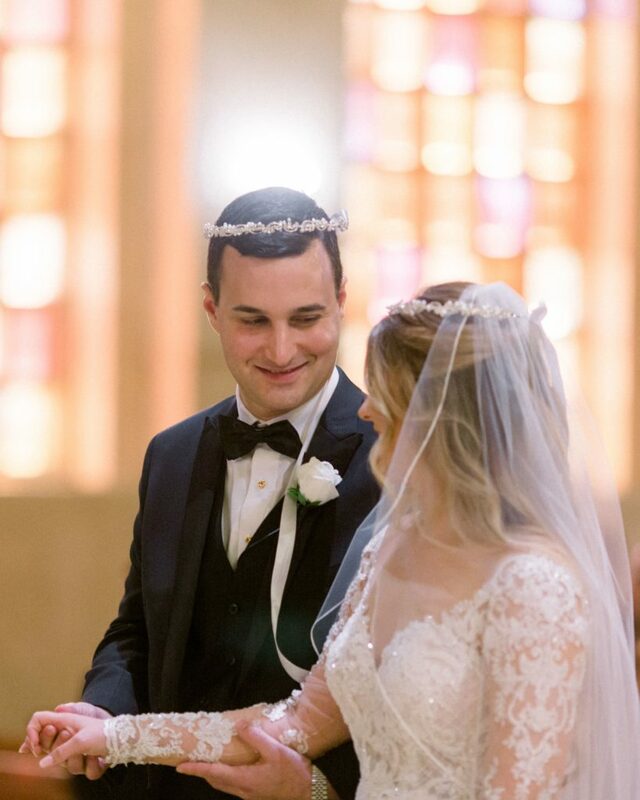 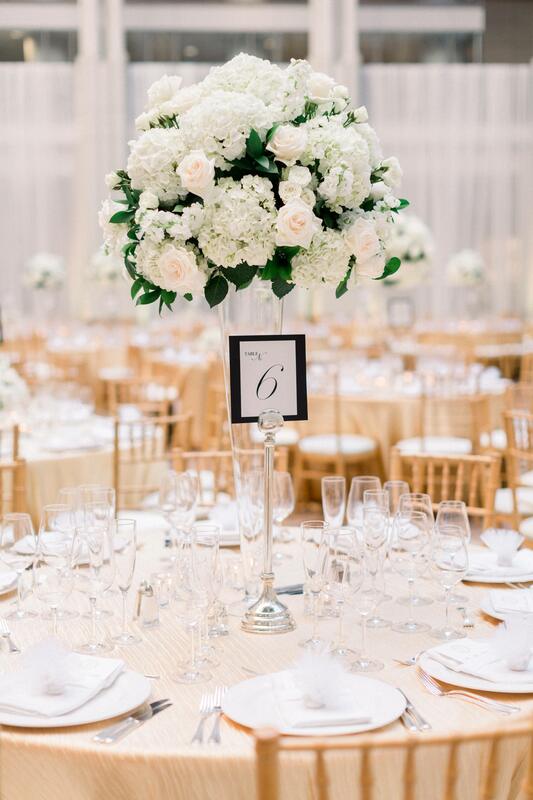 The bride carried a European hand-tied bouquet composed of white and ivory roses, white ranunculus, and white freesia, lightly accented with rich green gardenia foliage – all designed by Yellow Door Floral Desgn. The Atrium at the Ronald Reagan Building dressed in gold and white. Yellow Door Floral Design designed tall floral centerpieces to complement the height of the Atrium using white hydrangea, white stock, ivory roses, and rich green Israeli ruscus foliage. 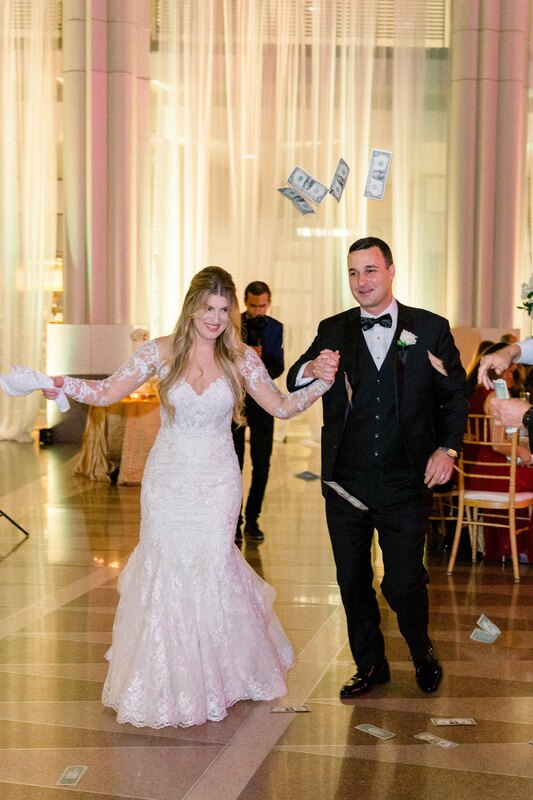 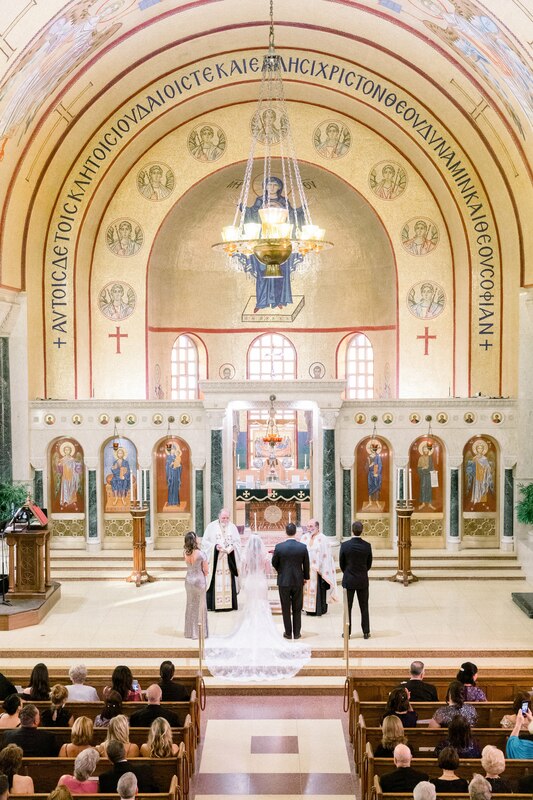 The dance floor opened with several Greek dances performed at weddings, while money is thrown at the newlyweds. 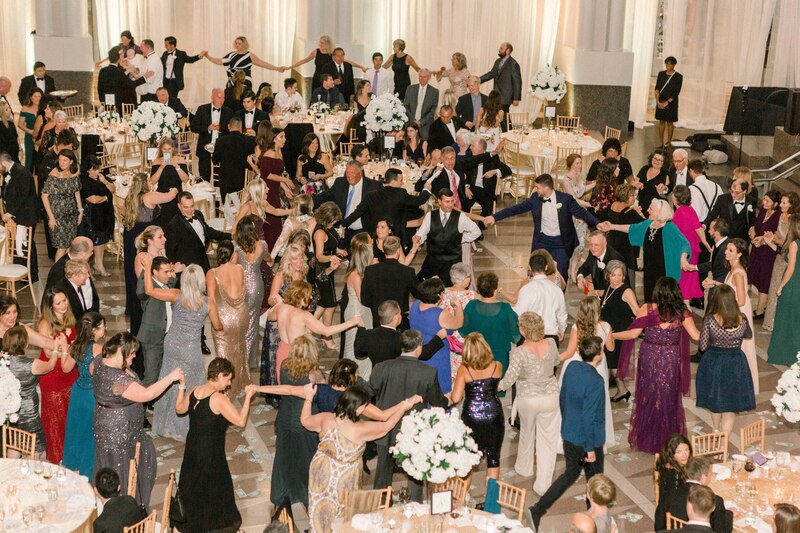 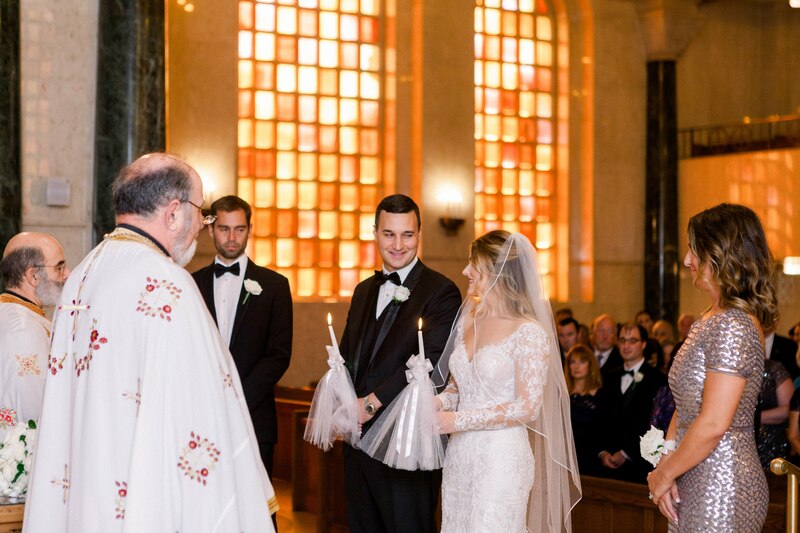 Guests link arms like a Jewish Hora dance and dance in circles around the room. 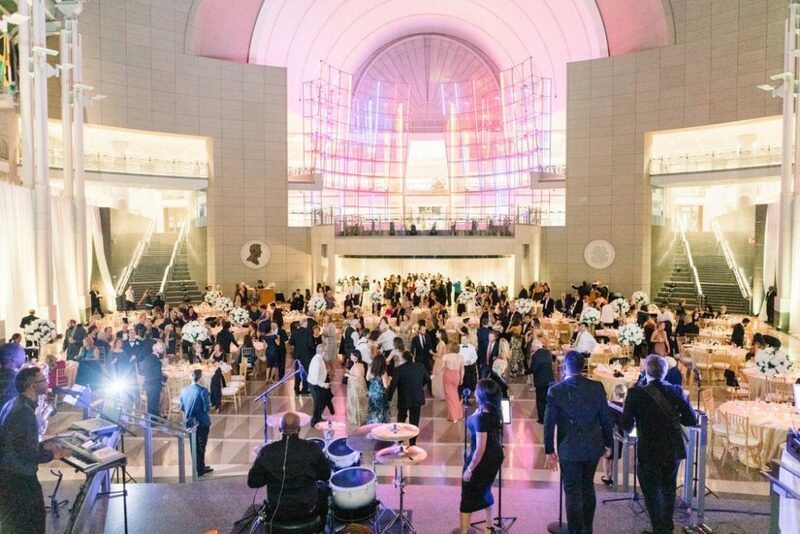 The band, Keynote, kept the dance floor packed! 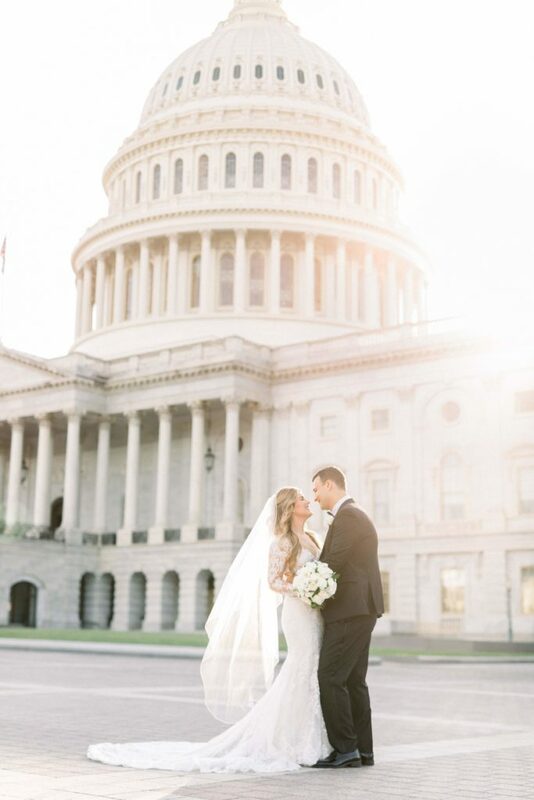 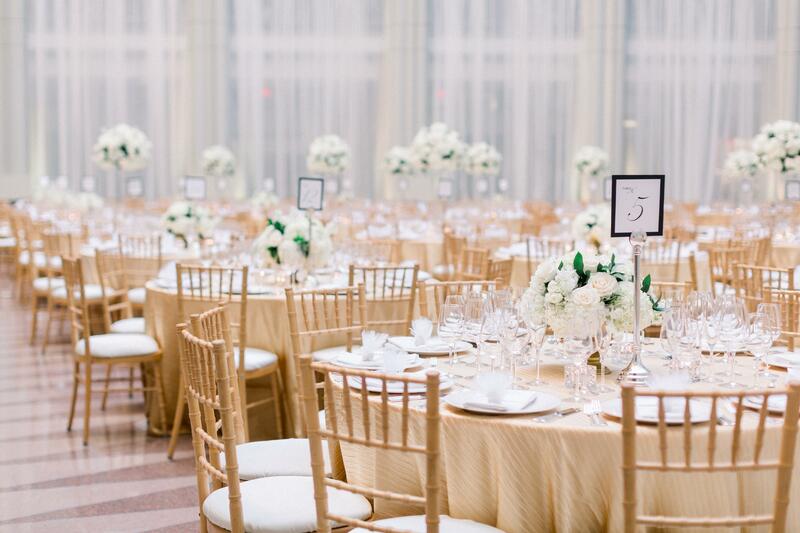 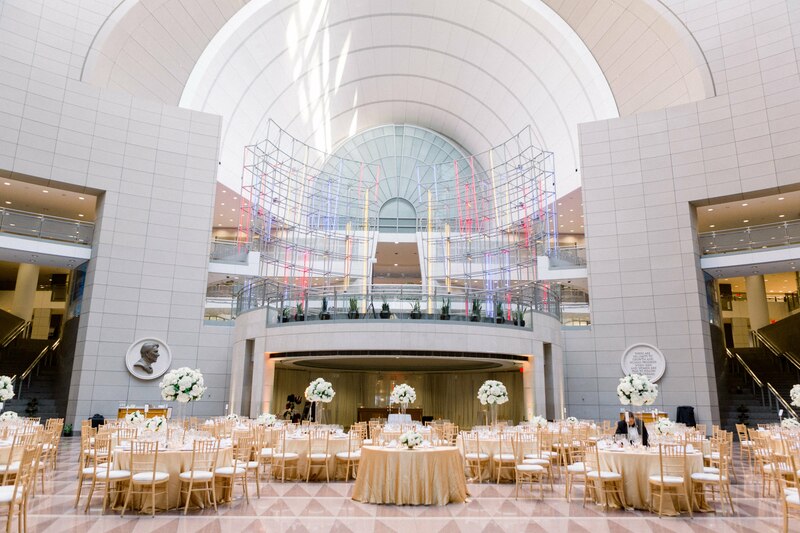 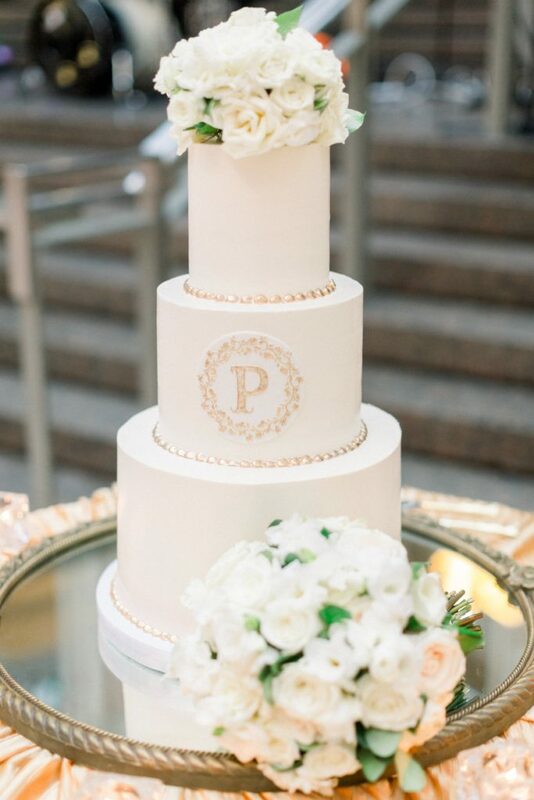 More of our Real Weddings at the Ronald Reagan Building.